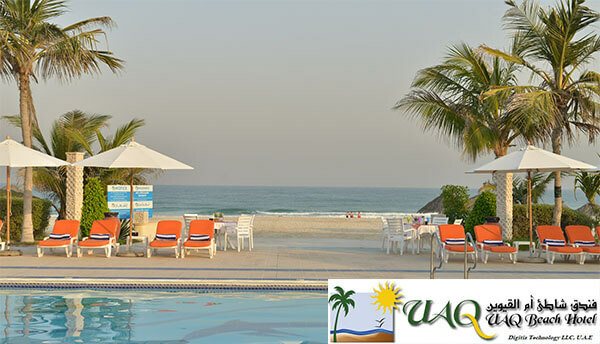 The Beach Hotel, Umm AI Quwain stands out amongst the best hotels in the United Arab Emirates. UAQ Beach hotel offers 66 villas in the cozy living spaces, allowing a barefoot existence and simple lifestyle of basking in the sun. In order to improve customer experience, UAQ ends up upgrading its IPTV system with support of TBS Kylone IPTV solution. UAD Beach hotel ONLY adopts below hardware to build up the IPTV system streaming out abundant digital contents with great ease. A IPTV streaming server powered by AMD Embedded G-Series SoC, it supports to be loaded with 4pcs TBS DVB tuner cards for capturing satellite live TV channels. The tuner cards are loaded in above MOI PRO AMD server for capturing FTA satellite live TV channels from total 12 transponders. Supports 4K, VC-1, H.264, H.265, MPEG-2. Supports standard RJ45 WLAN network connection and wireless network connection. Phanhin Regent Hotel is located in Bangkok Thailand, offers 342 rooms with design of modern, elegance, luxuriousness. 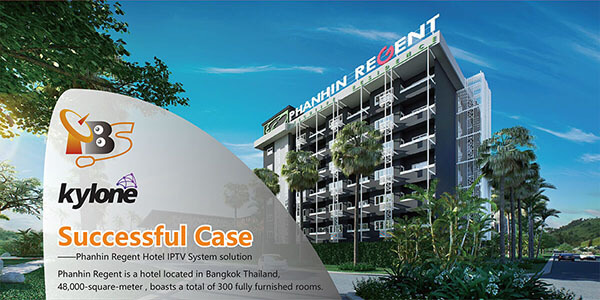 In 2017, Phanhin Regent Hotel adopted TBS Kylone solution to upgrade its television entertainment system to IPTV. Phanhin Regent Hotel adopts below hardware to build up the IPTV system streaming. 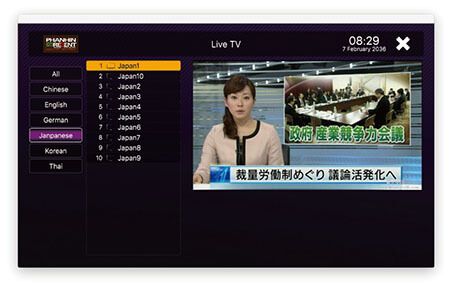 Manage digital liveTV channels, monitor streaming conditions. Manage programs, documents. Supports videos in format of AVI,MKV, TS, RM, RMVB, MOV and so on. Receive and record satellite/terrestrial/cable TV channels from multiple transponders. Receive and record encrypt TV channels for all DVB standards.